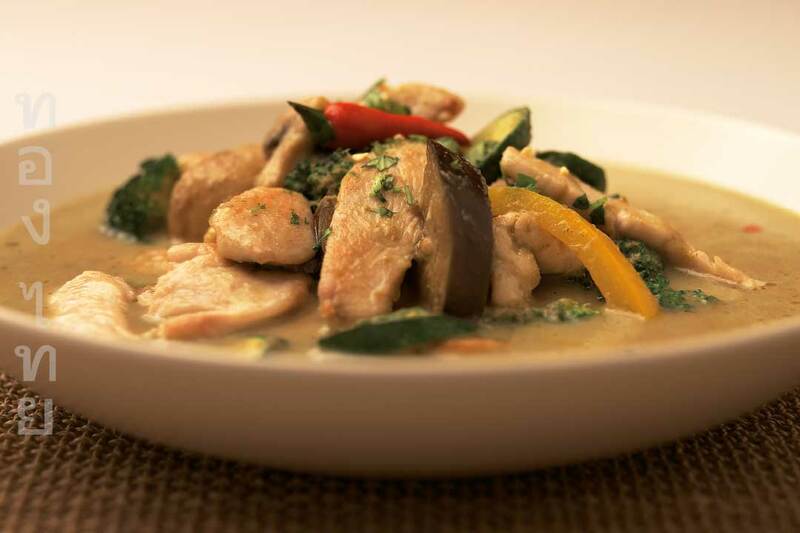 The most famous of all the Thai curries, ‘Gaeng Khieow Wuan’, is sweet and fragrant. Add the green curry paste and the kaffir lime leaves and cook for 3-4 minutes. Next add the chicken, and chicken stock. Extra Flavour: Garnish with some fresh coriander.